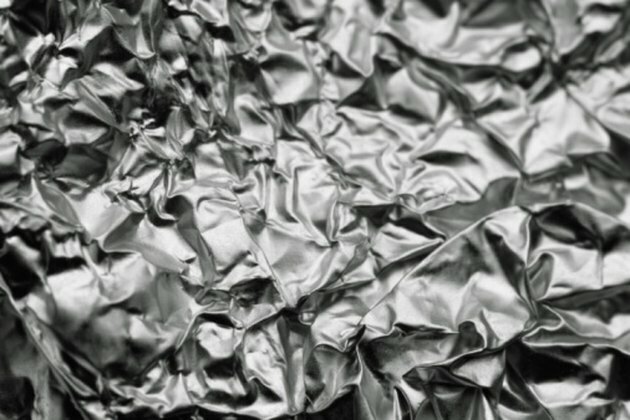 Tin foil, or aluminum foil, is often used in the kitchen, but some people use it for other reasons as well, such as covering windows elsewhere in the house. Foil is used in this way for a variety of reasons. The properties of tin foil make it useful in multiple applications. Tin foil window coverings prevent heat from entering the house. Tin foil works effectively to block radiant heat. Because of this, some people use it to block the heat of the sun by securing it over windows. The foil is simply placed over the glass window panes -- on the inside of the house -- and secured with tape. Because tin foil is resistant to heat, it prevents much of the sun's heat from entering the house. This helps cut down on energy costs because the air temperature inside remains more constant, despite the sun's location and the temperature outside. Some people cover house windows with tin foil for privacy reasons. Tin foil is a solid metal that you cannot see through. The foil is a low-cost alternative to blinds and other window coverings. If a person lives on a bustling block filled with passersby, covering windows in tin foil grants him the ability to be in his home without being seen. The physical properties of tin foil make it an impenetrable barrier to light. 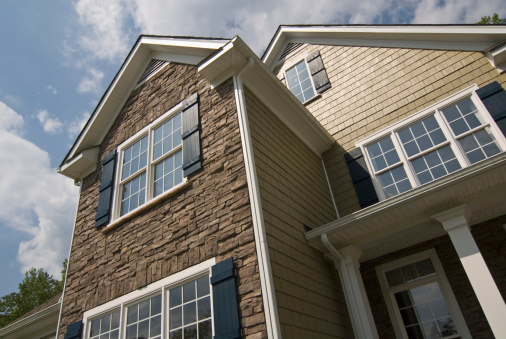 The positioning of some windows allows light to shine brightly into the home as the sun rises and sets, which may create an unwanted glare. The light can shine into bathrooms, making it difficult to apply makeup in a bright mirror, and it can create glares on television and computer screens. Covering these windows with aluminum foil prevents the sun from shining brightly into rooms and allows for shade. For similar reasons, some people who work overnight shifts cover their bedroom windows with aluminum foil to help them achieve total darkness for easier daytime sleeping. Aluminum foil is inexpensive. It is a low-cost substitute for window curtains or energy-efficient window treatments. Aluminum foil is also malleable, which makes it easy to conform to different window shapes. It keeps its shape, so as long as it is secured with tape, it will not detach or shrink away from the windows. Although not particularly decorative, tin foil is a practical choice for covering windows.